A federal judge on Thursday ruled against a request to extend the deadline for recounts in Florida’s U.S. Senate and governor midterm races, according to reports. U.S. District Judge Mark Walker rejected a request by Sen. Bill Nelson (D-FL) and fellow Democrats to give counties more time to finish recounts. Walker vented his anger at state lawmakers and Palm Beach County officials, saying they should have made sure they had enough equipment in place to handle this kind of a recount. 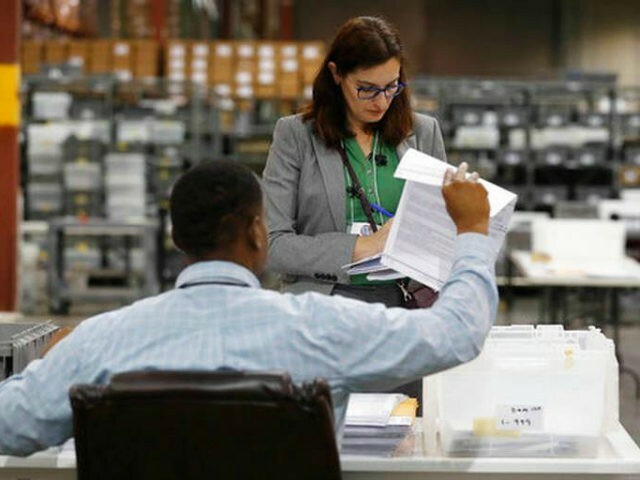 Florida’s 67 counties faced a 3:00 p.m. Thursday deadline to finish recounts that could determine the next senator and governor in one of America’s top political battlegrounds. Palm Beach County’s election supervisor previously warned that the county will not be able to finish on time. Six election-related lawsuits are pending in Tallahassee. Earlier Thursday, Walker ordered that voters be given until 5:00 p.m. Saturday to show a valid identification and fix their ballots if they have not been counted due to mismatched signatures. Earlier Thursday, Florida Democrats called on voters to submit absentee ballots after Election Day with altered forms made to appear as though they were done prior to the legal deadline. Party officials hope a judge will allow the votes to be counted. As Breitbart News’s Joel Pollak reported, critics believe the move would constitute potential election fraud. In his ruling, Walker stated he was concerned that some counties may not complete their work by the deadline. But he said there is a lack of information about when Palm Beach County would wrap up its work. Once the machine recount is complete, state law requires a hand review of races with margins of less than 0.25 percentage points. That almost certainly means another recount in the Senate race, with unofficial results showing Republican Gov. Rick Scott ahead of Nelson by 0.14 percentage points.